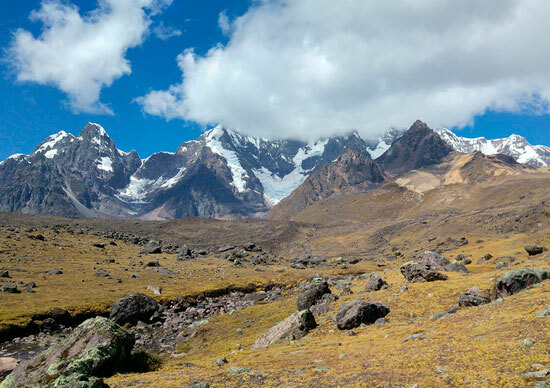 MACHU PICCHU – RAINBOW MOUNTAIN 2 DAYS, is for travelers who wants to enjoy both mountains while also enjoying the comforts of good travel, which means great food and special personal care. 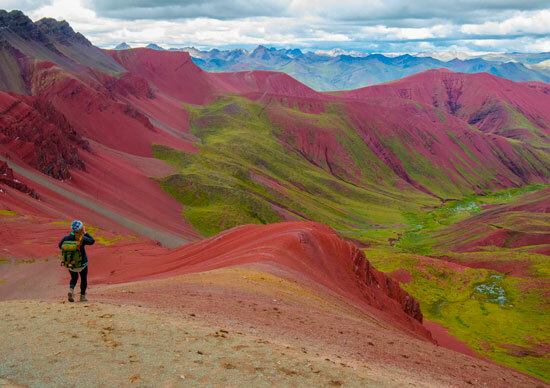 On this trip you will carry fewer luggage’s or to go on mules to continue the trip to the rainbow mountain. MACHU PICCHU-RAINBOW MOUNTAIN has become world famous not only for the legendary Lost City of the Incas but because of its stunning views of the Rainbow Mountain recently explored by spectacular landscapes and dramatic sceneries, mix two magical mountains in 2 different days. IN CASE OF “WAYNA PICCHU”, WE RECOMMEND TO BOOK AT LEAST 2 OR 3 MONTHS IN ADVANCE, THERE ARE ONLY 400 PLACES AVAILABLE PER DAY. We picked up from your hotel very early in the morning to travel towards Ollantaytambo village where there is 2 hours by train service to Aguas Calientes village. Arriving at Machu Picchu train station where the guide waits for you with your names displayed. Then we board a bus to Machu Picchu sanctuary Travel On the trip we ascend 400 m/1,312 ft. by a zigzag route for 30 minutes and finally arriving to the Machu Picchu sanctuary. 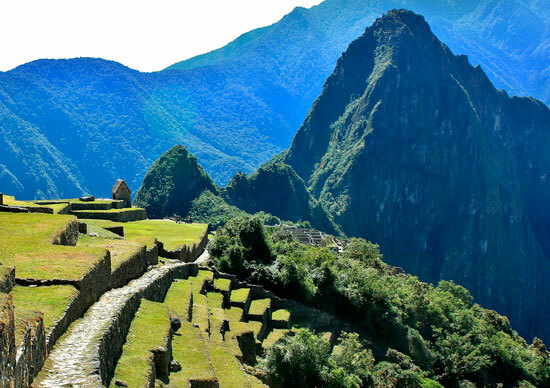 The Sanctuary of Machu Picchu is known as the lost city of the Incas and was the last refuge of the Inca´s Empire. We visit and explore all the Incan places that are part of this wonder, walking tour takes 3 hours, enough time to understand why the Incas decided to build Machu Picchu at this location. In the afternoon board the train back to Cusco. Please note that you need to be at the train station at least 30 minutes before the departure time of your train service. During the train service, the waiters provide some aperitifs on board and drinks such as Coca tea, Muña, or more drinks, etc. When you will get to Ollantaytambo or Poroy station, a transfer service will be waiting for you, to take you to your hotel in Cusco city. Plastic bottles are forbidden in Machu Picchu Park so bring: aluminum bottle, Camelback, Nalgene bottle, etc. Windbreaker (depends on weather conditions) Machu Picchu Travel advice.